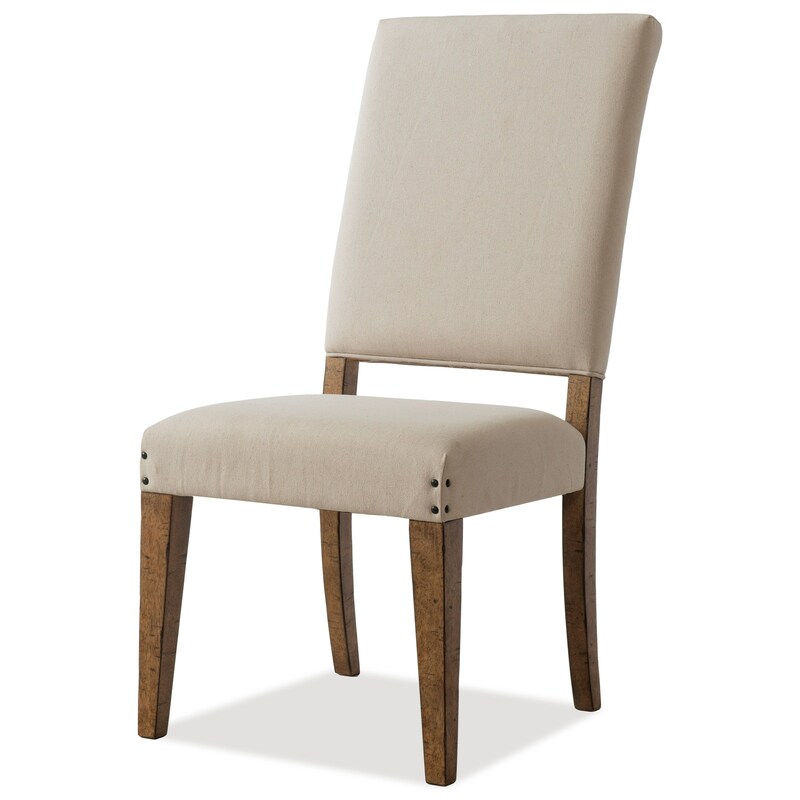 It's the details that add character to this casual cottage dining chair. Look for the picture frame shape of the outer back and the cozy rustic nailheads on the cream colored fabric. The Coming Home Good Company Upholstered Side Chair by Trisha Yearwood Home Collection by Klaussner at Miskelly Furniture in the Jackson, Pearl, Madison, Ridgeland, Flowood Mississippi area. Product availability may vary. Contact us for the most current availability on this product. The Coming Home collection is a great option if you are looking for Relaxed Vintage furniture in the Jackson, Pearl, Madison, Ridgeland, Flowood Mississippi area.